I don't have a cool couple hundred dollars lying around but if I did, that dress would be on my list for sure! Your clothes are so, so nice. Happy Birthday and Many Splendid Returns for the Day!! Your new shop is so elegant and crisply lovely!! So sorry I miss that :( I was not online yesterday ! 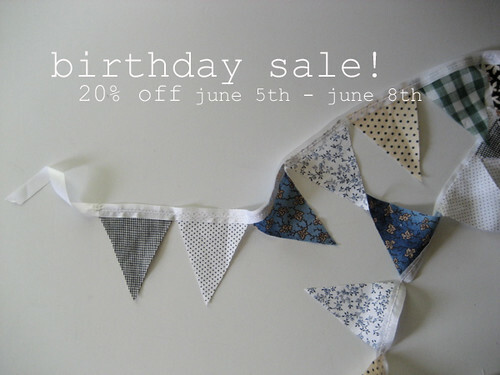 i love these handmade banners, so nice and perfect for birthdays of course! i've always wondered though if they fray easily when you use them outdoors? i guess they might.